Two Days Left to Save! 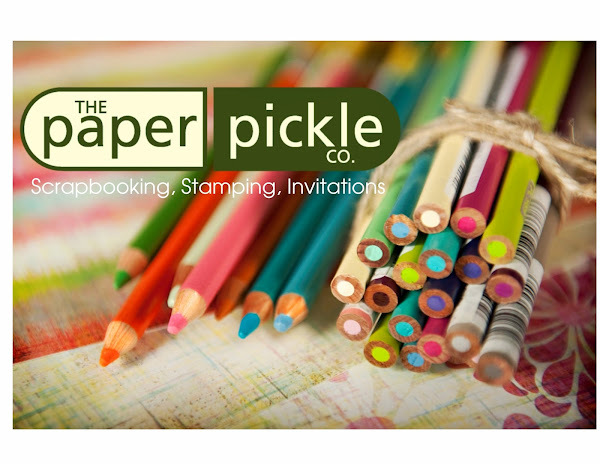 I am thrilled to tell you that we have two classes scheduled for August. Do you remember that amazingly talented girl that broke her wrist and we had to postpone her copic class....now what was her name again?!? It has been SO long! Well Linda is back! The class has been rescheduled to Wednesday August 18th at 6PM. Now those of you who registered, I have held your spot (unless directed otherwise). Please call me to confirm that this date works for you. There are still spots available for new students. Please call the store to reserve a spot. 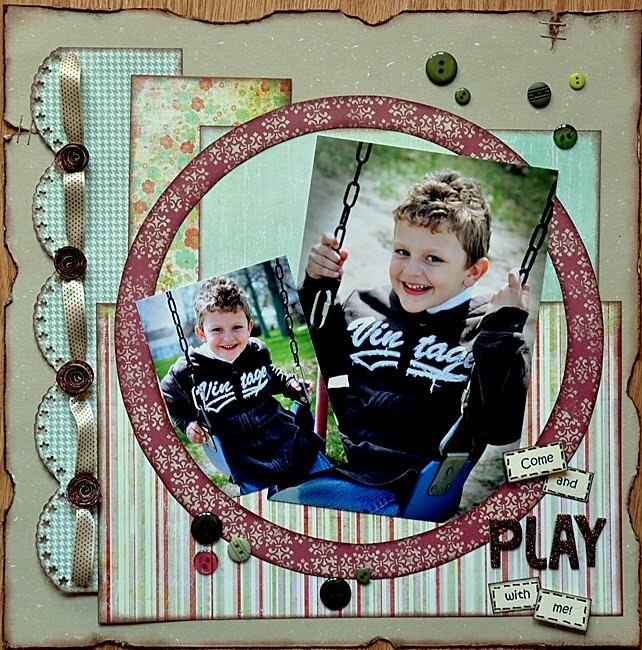 Michelle has another gorgeous one page layout in store for you. 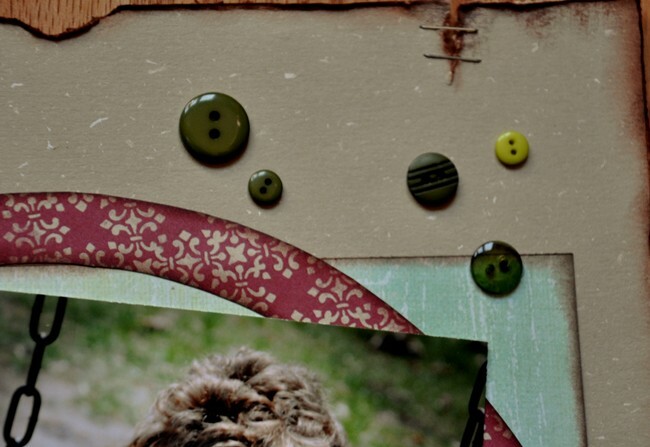 The class will be filled with distressing, tearing, stapling, making paper flowers, working with Thickers, buttons, ribbon, chipboard and so much more. Have a look for yourself. This is the first time offering this class so there is plenty of room. Great for ALL skill levels! I have just had the most amazing weekend. We are so very lucky to have family with cottages on Lake Erie. We took the kids out there for the weekend (our very first getaway) and we survived and enjoyed 'nearly' every moment of it! I think that is a BIG accomplishment with two kids ages 2 and 4! Today I am feeling so very blessed and just plain happy with life. All these warm and fuzzy feelings have had me thinking about an idea that I have had for some time......I know there are some UBER talented customers and followers out there. 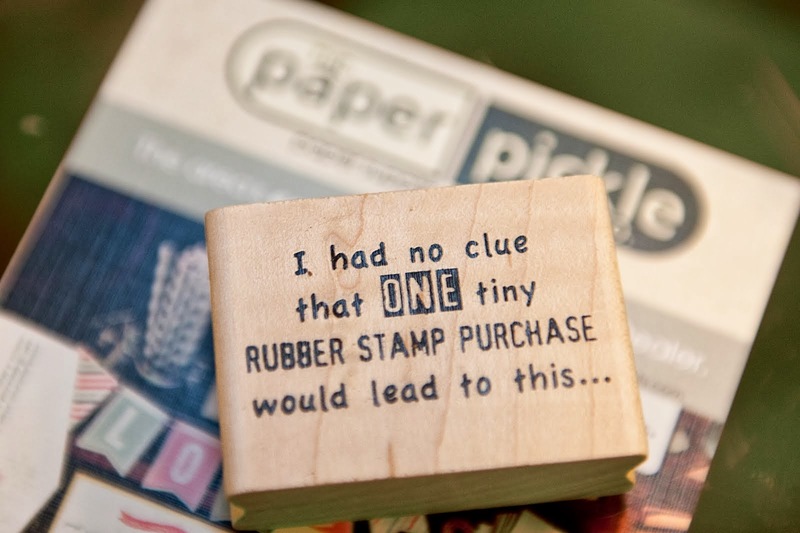 I would love to make our blog one that will unite all those "crazy stampers and scrapbookers" out there (and you know we really are so crazy and passionate about what we do!). 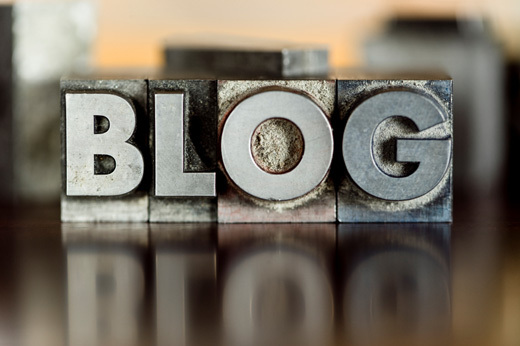 So I am calling ALL BLOGGERS to send me your links so I can add them to my page. I absolutely ♥LOVE♥ when people bring in their cards and layouts to show what they have been doing with all this GORGEOUS product that we sell.....but that is not always very easy for everyone.....PLUS I am the only one who gets to drool over the end products and I want to SHARE! So I am asking you to send me your blog links and I will post them on our blog so we can all draw inspiration from each other. All submissions will go into my folder called "Pickle Friends". I mean, I don't know about you, but I absolutely LOVE when someone comments on a projects that I worked on. 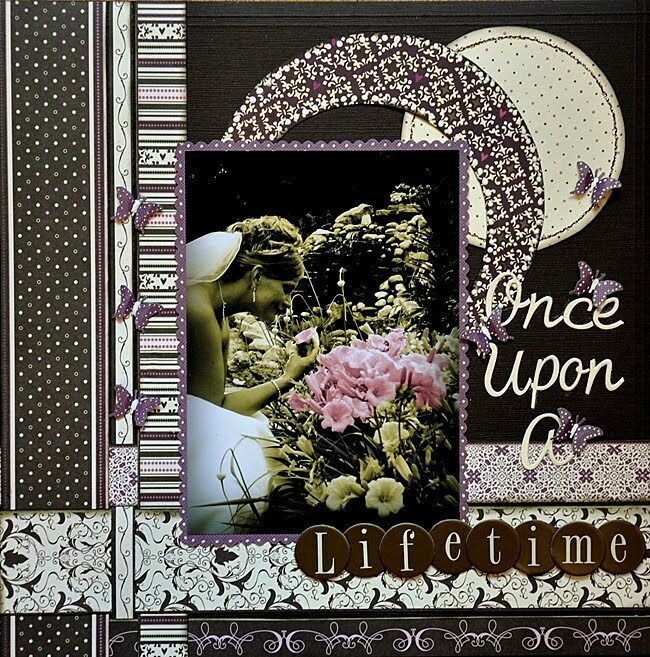 To me, the best part of the paper crafting is SHARING our love of paper and the hobby and the reactions they ignite! Our semi-annual sale began last Friday and the response has been overwhelming! I think you all LOVE a good sale as much as we do!! The good news is that the sale continues until this Saturday so you still have two days to save. ♥ All Ribbon is now buy 2 strands, Get 1 FREE! So the cat's out of the bag.....did you see our ad in Chatham This Week? Our HUGE semi-annual sale is happening THIS Friday, July 9th through to Saturday, July 17th! That's SEVEN full days of savings!! Our feature includes ALL Stampingbella Stamps and ALL Woodmount stamps at 30% OFF! And you know us.....that's not all we will do! There will be incredible savings storewide. I will fill you in on the additional savings as the week progresses. 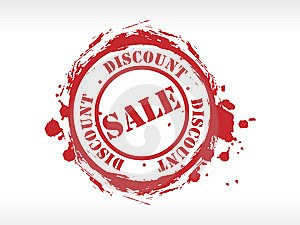 We add items to the sale each day so it is best to shop early and often!! The store is full, and I mean FULL, of gorgeous items rights now....What a great time to beat the heat and stock up on some amazing products! 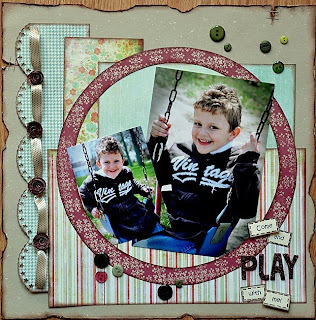 You have a couple more days to sign up for Michelle's layout class happening this Thursday (July 8th) at 6PM. This class is $17 but if you can't make the date, you can purchase a kit for $12. 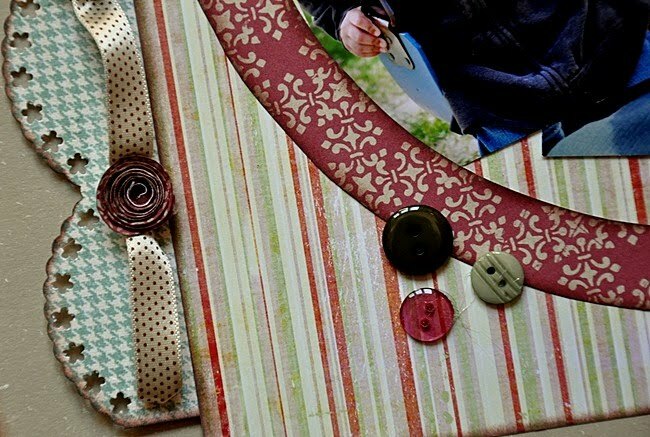 This layout includes sewing, working with glitter, weaving paper, etc, etc. and just lots of fun! 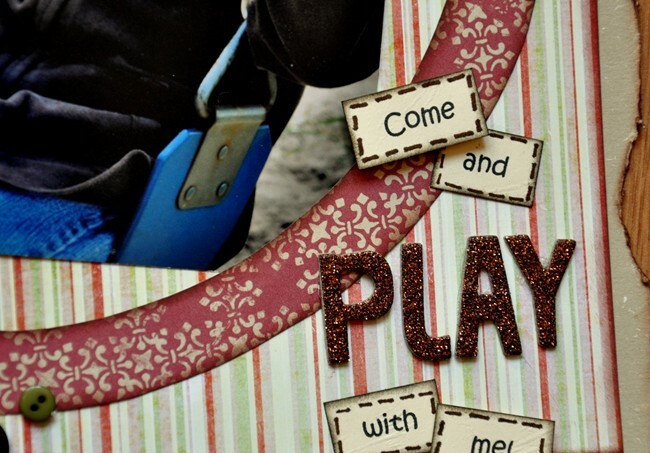 Give me a call at the store if you would like to join the class Thursday (519.351.5220). Hey Two-Page-Layout Lovers.....It's funny because people have told me they love the look of Michelle's layouts but have only and will only do two page layouts. One thing I should mention is that some people have been purchasing an additional kit or additional paper to turn Michelle's one page layouts into a two page layout. What a great way to learn amazing techniques and tips but also get an end product that you love!